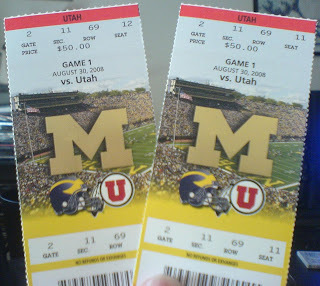 My co-worker Kay helped hook me up with tickets to today’s Utah vs Michigan football game. Rosie and I are about to get ready to drive into Ann Arbor. Any guesses for what color we’ll be wearing?